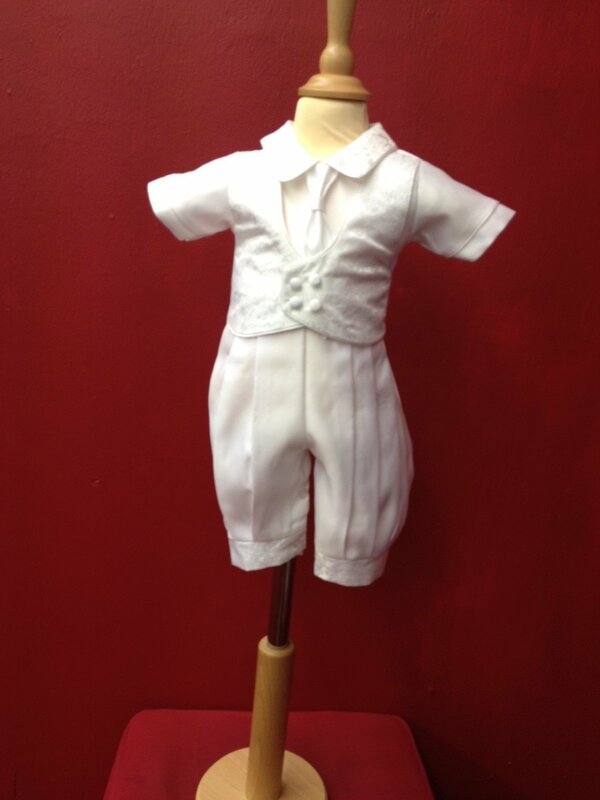 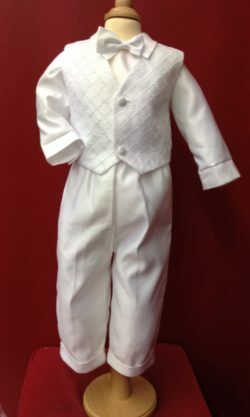 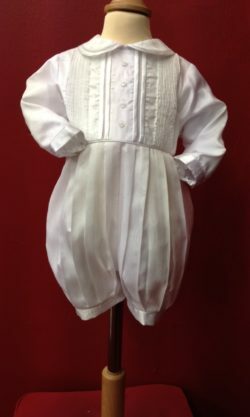 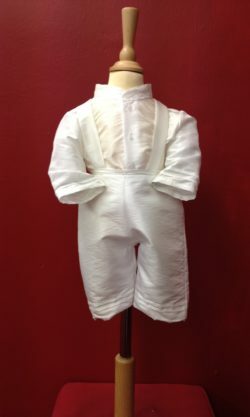 Lovely little Boy’s two piece Christening suit,100% polyester all in one short sleeve with waistcoat and tie attached Peter Pan collar opening to the back.long trousers with hat. 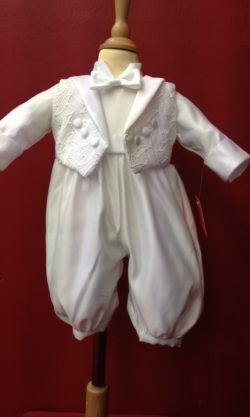 We accept Credit Card & PayPal for online transactions, please contact us to make alternate payment arrangements for store collections. 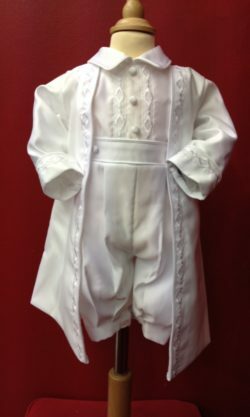 Run by the proprietor, Doris Healy, her son David, who have 16 years experience in the Communion and Confirmation wear business and qualified staff, The Sisters Communion and Confirmation Shop offers exclusively designed Communion outfits for both boys and girls at very competitive prices.